Essentially, these are bowls of premium shaved ice with grass jelly (cincau), a little syrup, some chewy beads of taroballs and an optional cup of creamer for good measure. Simple, faultless combination that cost double of your usual bowl of cincau from hawker stalls. 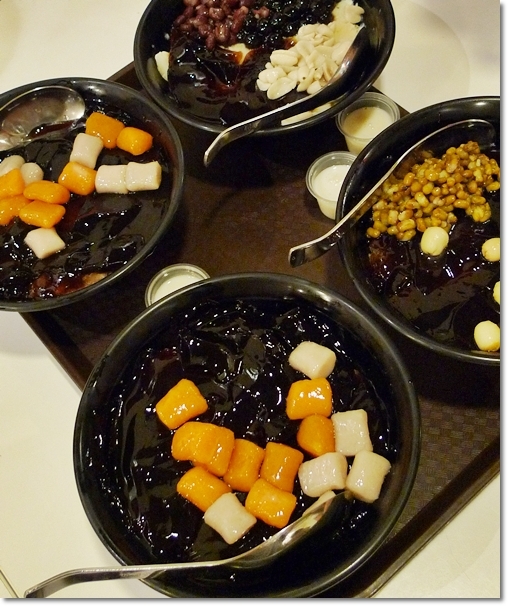 But look at how Snowflake Taiwanese Dessert Secrets have grown to become! Kindly allow me to shut that motormouth for a day; and start the week on a breezy note. Monday practically flew by, and to no surprise, the caffeine addiction kicked in more often than not. No thanks to that instant coffee machine in the pantry. I’m poisoned. Is there even a Caffeine Addicts Anonymous group? And thus, here’s a short one on possibly the next up and coming desserts chain that will take off; much like how KTZ created such a buzz back then. Then there were the Honeymoon lah …. Lucky lah …. Hong Kong lah …. Tim Pun Gor Gor (don’t ask) lah …. and whatever gimmicks they can come up with. Sadly, no designated kiosk/cafe for authentic Malaysian desserts huh? 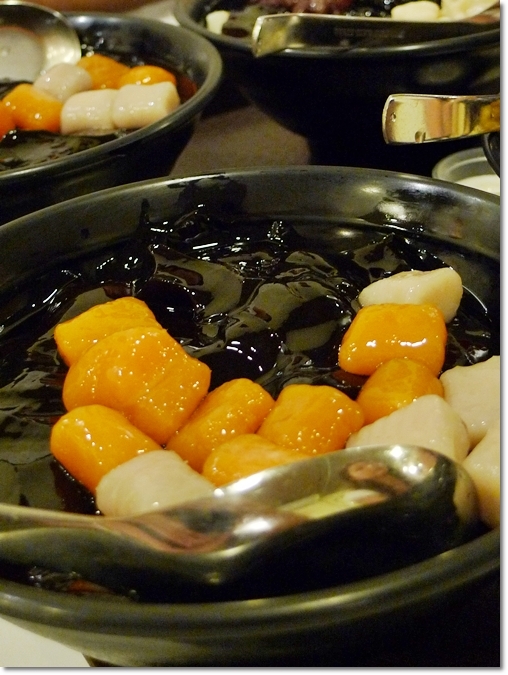 Like pengat pisang, nyonya kuih, red bean soup, Indian sweetmeats, etc. But for now, let’s look at how Snowflake has changed the palate of the younger generations …..
A novel ordering system; first time seeing something similar to this. I am from kampung, okay?! 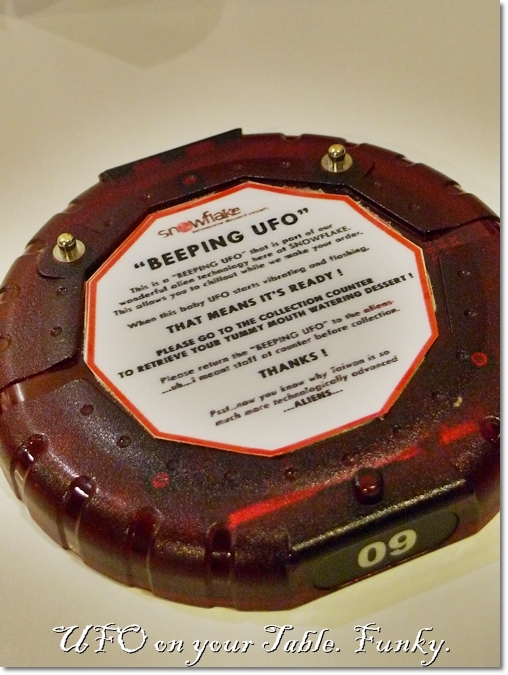 So you just walk over to the counter, pay up and take one of this funky apparatus back to your table. When it lights up and erm, vibrate (don’t go there. ..), you collect your desserts. Credits to be given where they’re due, the bowls of desserts at Snowflake do come in larger portion; and substantial enough to be shared if you’re not one who’s born with a sweet tooth. Choose from a variety of combination on the menu. Kinda mind-boggling, especially when you have to envision the end product; combining various flavours and textures of different ingredients. Go for the Bestseller (a lazy choice) for RM6.50/USD2.10 per portion. 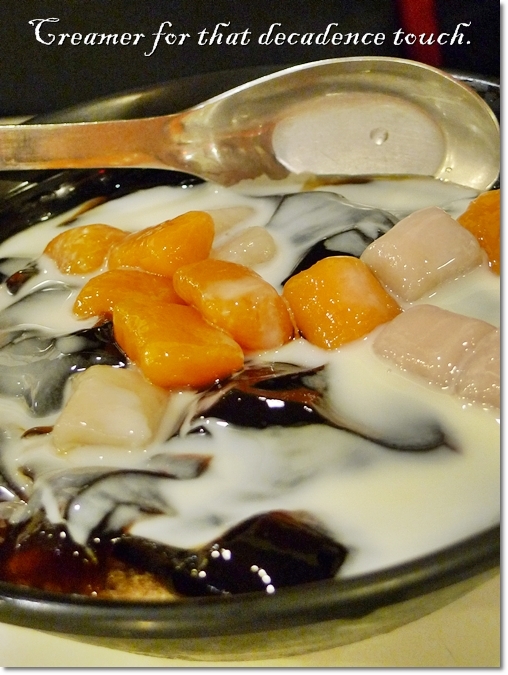 Soya Ice Series – Aside from Grass Jelly series and Taroball series, you can opt for the healthier soya ice series. Ironically, the previous post was all about soya milk and the ice-blended varieties. For a touch of decadence, since this IS a bowl of dessert after all, pour a cup of creamer all over the wobbly jelly and slurp away. Not too milky nor sweet, the creamer actually enhanced the combination. Not bad, but don’t count the calories. Btw, this was the Bestseller I ordered. 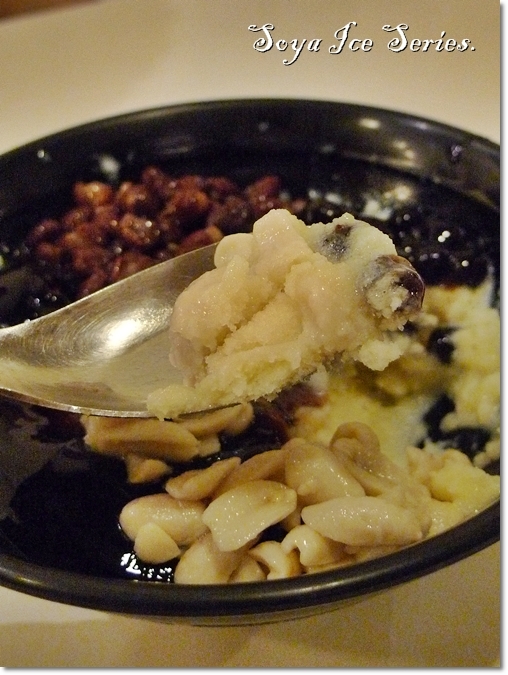 This one with Barley and Boiled Peanuts, with chunks of sweet potatoes seemed to be someone’s favourite. Now I wonder what else can they put as toppings for the desserts. Honey sea coconut? Mangoes? Longan? Durian?! 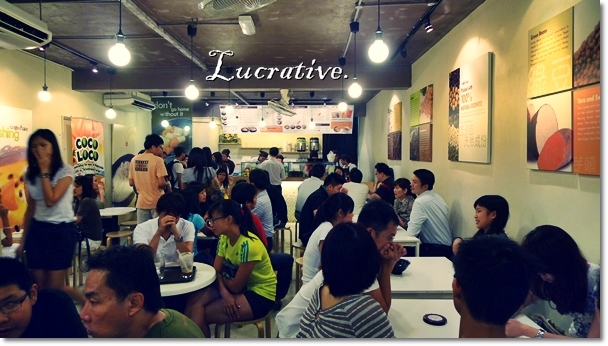 To grasp an idea on what they serve at Snowflake; you can visit their Facebook page at this link. They even posted a full menu in one of the albums; so you don’t have to relent to your indecisive self while the crowd behind you curse and swear under their breath. 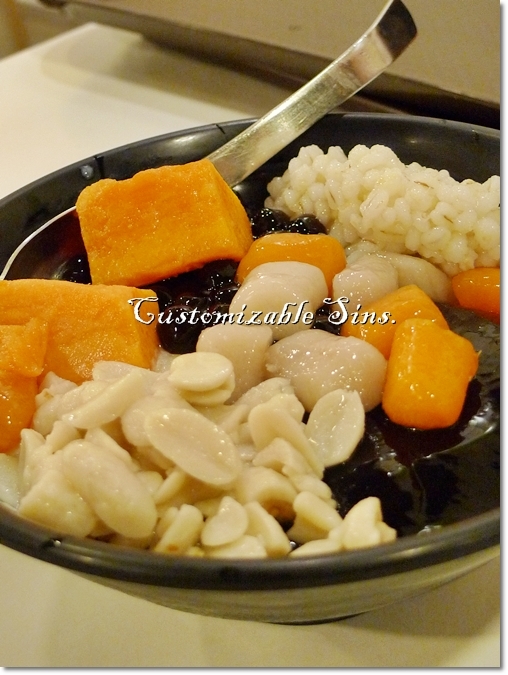 I can’t vouch for the authenticity of their supposedly Taiwanese desserts, since I have never been to Taiwan myself. (Pathetic right?) But if you long for something different from the generic Mango Lolo, or Tau Fu Fah, then maybe Snowflake’s the place for you. Just don’t expect peace and serenity ……. * Four outlets in total; the original in SS15, Subang Jaya directly facing Asia Cafe, then there’s the one in Pavilion (most strategic, I guess). The third one opened in Kota Damansara (a nightmare when it comes to parking, sometimes), and the latest in Kuchai Lama. I will be looking this stuff when I get back KL this Chinese New Year. Maybe I was expecting too much (bcos everyone told me how nice Snowflake is) that I was a little eencey weencey bit disappointed when I tried it out…. u know, i had snowflake fetish lately! my fav being the soya ice series, it helps that it’s not too sweet nor fattening (i hope!) and it’s from natural ingredients. I prefer to go to the kota damansara one since its pretty new and relatively empty!! Thanks for posting this. I was in Sydney recently and came across a Taiwanese dessert shop selling the above for the first time. Very brisk business, always a queue and heavenly. Lots of choices and now that you’ve posted this, I’ll be checking it out when I go back. Great blog for food! Guess what? After our first outing there at SS15, I have gone to try it again at Kuchai Lama, Kota Damansara and back to SS15 again! Gosh I’m addicted to those damn taro balls lah!! 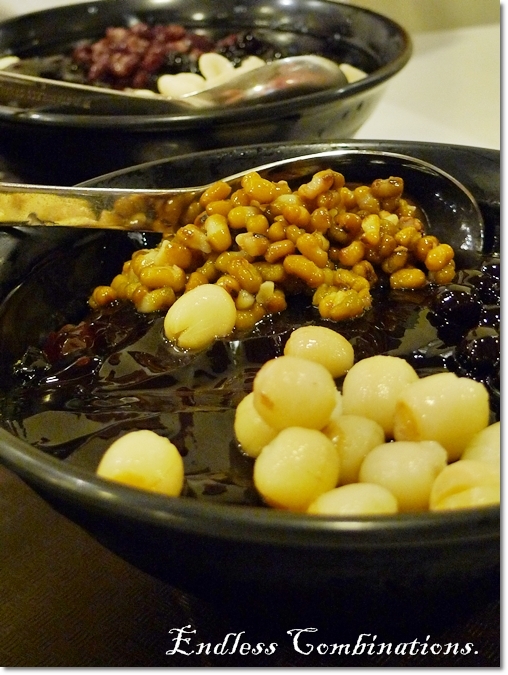 i dont like those chewy balls…not my cup of tea..
Taiwan always and good dessert and seem like lot of Malaysian being influence. Thanks for sharing the link, Jeremee. Yeah, if only they are not constantly swarmed by college kids there at SS15!